Some people live for the ice cream, I live for the cone! Cake, sugar, waffle – love ‘em all. Especially that very last bite that collects the melted ice cream. Holy yum! 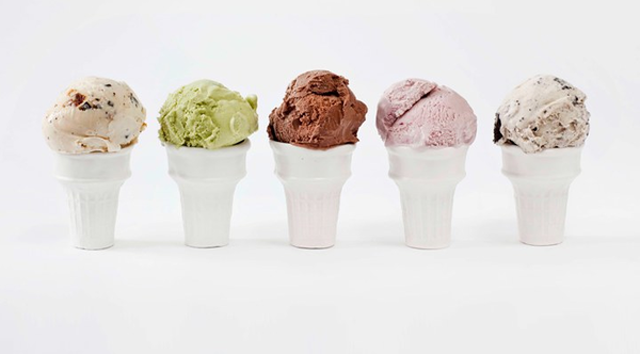 Time to celebrate the glorious edible vessel that is the ice cream cone with National Ice Cream Cone Day. 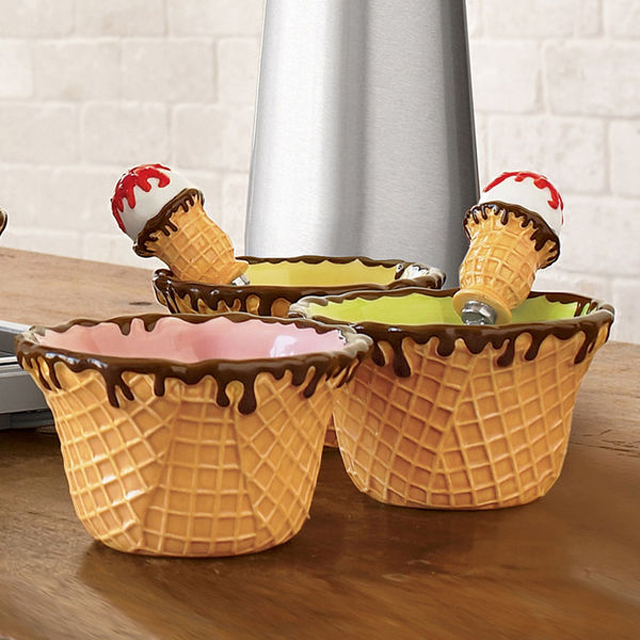 We’ve gathered up a grand selection of gifts for the cone fan whose love runs as deep as that last litte drip. 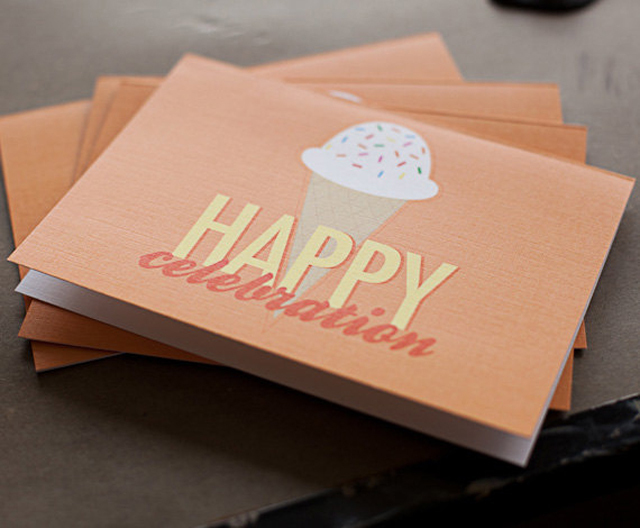 Send out these cheerful sherbet-colored Ice Cream Cone ‘Happy Celebration’ cards from 26 Sorts to fellow ice cream lovers. It’s always such a great surprise to receive snail mail that’s not a bill or junk mail! For the chef who loves ice cream – and maybe even goes the homemade route – there’s this sweet softserve kitchen timer. Twist and go! Or check out this giant (over two feet tall!) 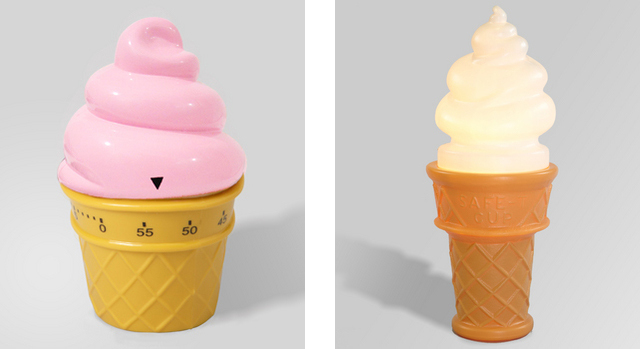 ice cream lamp that’s sure to capture a connoisseur’s heart and funny bone. Or give the gift that keeps on giving and making stomachs grumble all year round masquerading as art, a snarky Ice Cream vs. 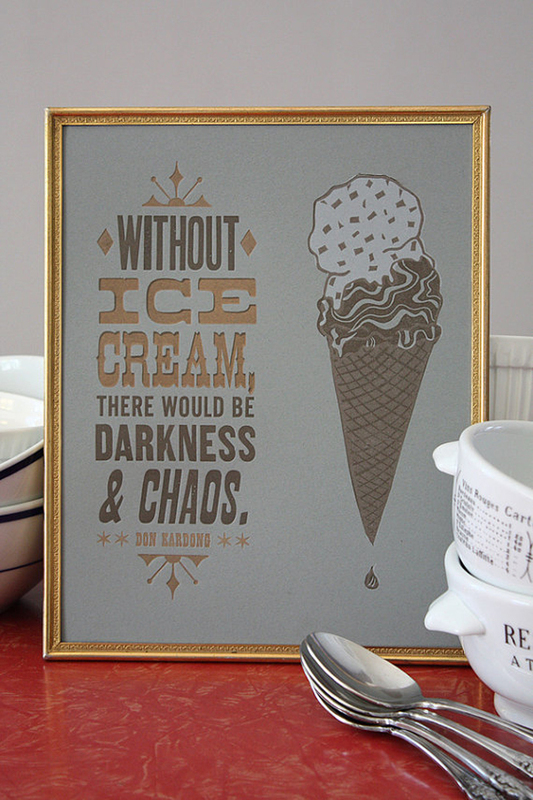 Chaos and Darkness print by Slow Industries. My favorite is the Spring Ice Cream necklace by Après Ski. 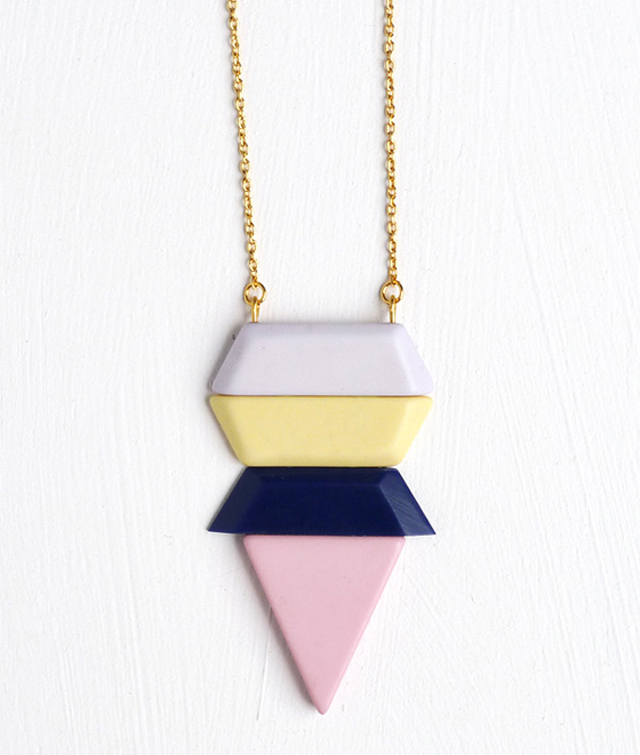 Hang it around your love’s neck as a geometric reminder of the thing she loves almost as much as you. 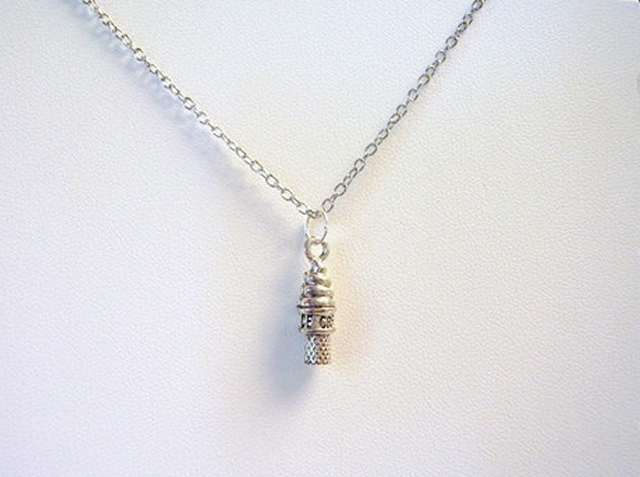 I also love this oh-so-charming charm necklace from Evelyn Mae Creation. It’s petite and dainty, all of the things gallons of ice cream won’t make you, and all the more reason to make someone smile. So what’s your favorite kind of cone? Cake? Sugar? Waffle? Have a delicious Ice Cream Cone Day! Keeping it classy since 1979.